A rocky end to the first half saw the Timbers down 2-0 at the midway point, but a strong second frame produced two home goals, and the match ended in a 2-2 draw. For most of the first half, Portland dominated possession and created three big chances inside 40 minutes, but couldn’t find the opening goal. Less than four minutes later, Houston’s first real chance did. Will Bruin slipped in behind the defense and added to the Orange lead just before half time. 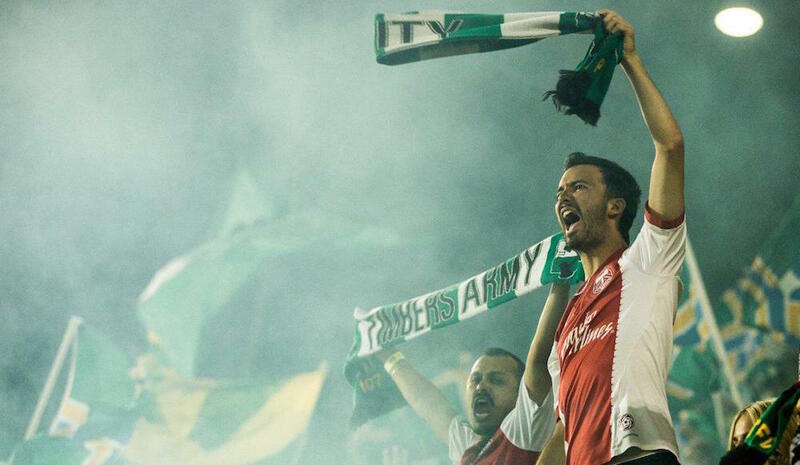 It took over a half hour for the Timbers to break through in the second half, but when they did, the mood of the entire evening changed for the better. Darlington Nagbe gets criticized for not scoring enough, but his 76’ goal stands as a perfect example of the dynamic he brings to this team. Once Jorge Villafaña had dribbled himself into a dead end, who else but Nagbe would pop into open space and finish with confidence? Speaking of confidence, with the seal finally broken, the Timbers pushed for the equalizer, and eventually found it ten minutes later. How nice is it to see Lucas Melano score? With lofty expectations heaped on the 22-year old - playing his first few games in a new country - based by-in-large on his price tag, it was exciting and encouraging to see his true skill come out. That low cross flick was a thing of beauty. While the result wasn’t perfect, but Caleb Porter’s men showed a lot of character in the second half, and a draw ended up looking like the right outcome. Additionally, the two goals came from players that really, really could have used a goal.Darlington Nagbe and Lucas Melano need to be on point for the Timbers to secure a favorable playoff spot. The draw leaves Portland tied with Kansas City for third place on 40 points. 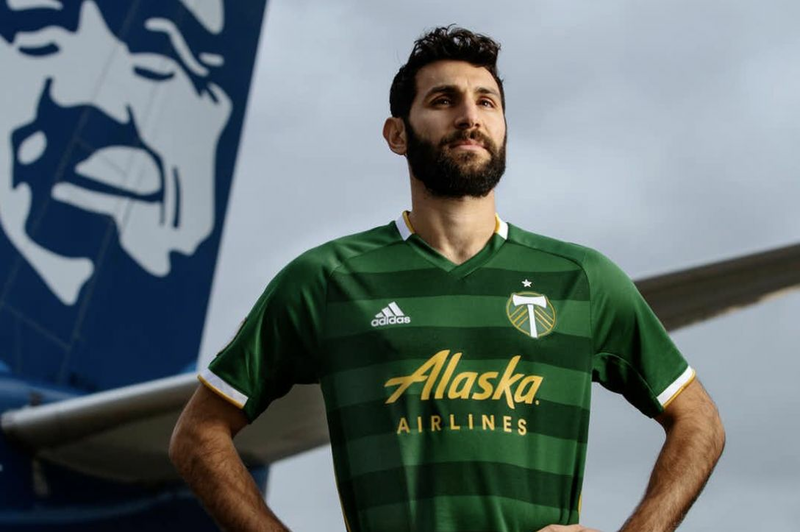 Two points separate the Timbers and SKC from Dallas (38pts) and five from both San Jose and Seattle, currently straddling the playoff red line on 35pts apiece. A big, big trip to Seattle. 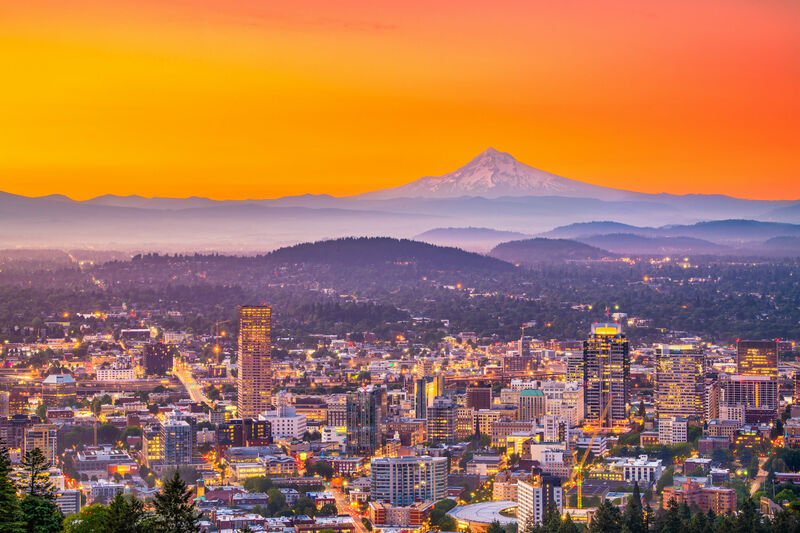 The season (and playoff positioning) may very well come down to the two home showdowns with Sporting KC in early September and early October, but this is Seattle Away, and Portland’s sixth-and-final Cascadia Cup match. The infamous Open Cup match in Tukwila, which saw Oba Martins injured, Clint Dempsey suspended for a hissy fit, and the home side crashing out with just 7 players left on the pitch sent the then-first place Sounders into a tailspin. 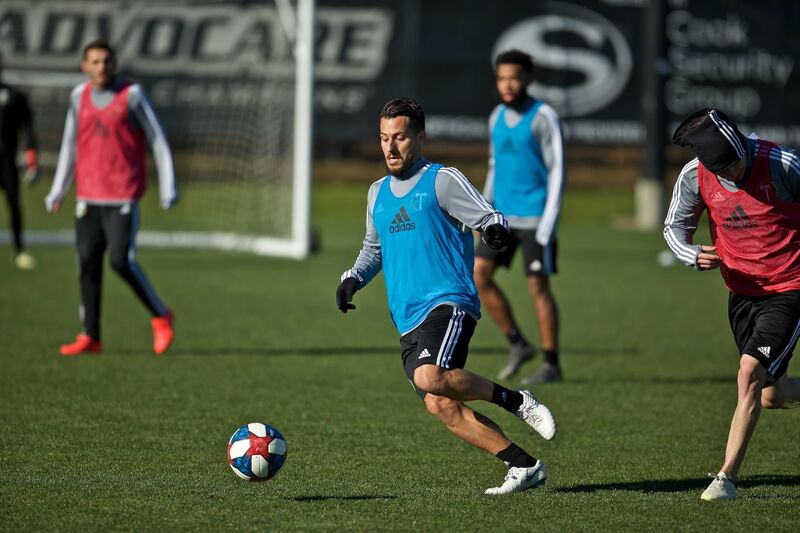 A team that was not too long ago considered a Supporters Shield favorite is now fighting for a playoff spot. Prost Amerika lists Seattle’s playoff odds at a mere 34.7%, while Cascadian rivals Vancouver have assumed the role of Supporters Shield favorites. In spite of everything that has gone awry in the past two months, the Sounders are only 5 points back of Portland, and a win would cut the gap to 2. This is about kicking your enemy while they’re down. 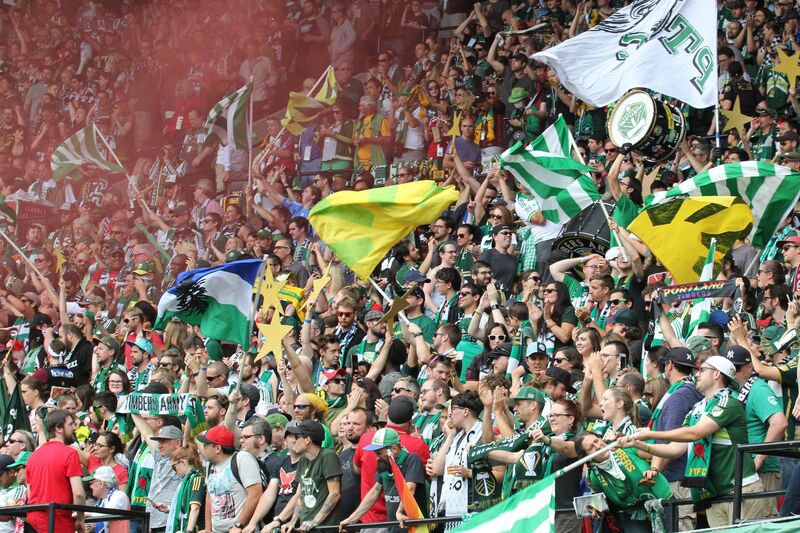 It sounds ruthless, so turn your scarf to the No Pity side and remember that there’s nothing the Sounders and the Emerald City Supporters would love more than to get their momentum back at Portland’s expense. MLS is the only top-division soccer league in the world that counts Wins as the first tiebreaker (it’s goal difference everywhere else). To that end, the four teams from third place down to sixth are all tied with 11 wins. 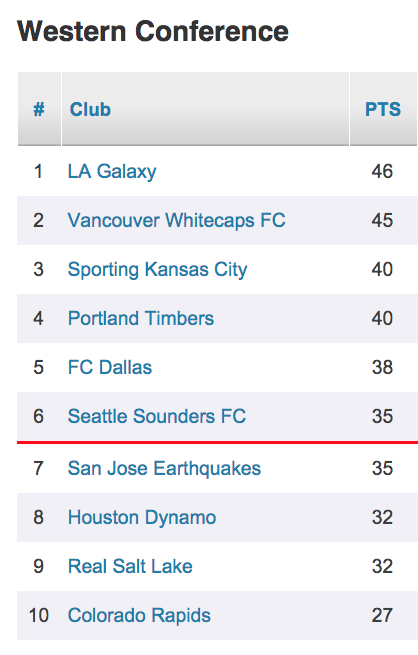 Seventh-place San Jose is only one behind. Wins—potentially more so than points—will determine where the Timbers end up. Seattle’s DP striker has all but set the standard for DP strikers in his 2+ seasons in the Fishing Village to the North. The Nigerian hitman is among the elite finishers in MLS and can pop up out of nowhere to put his team on the board. Despite missing 9 games through injury, Martins is still tied for 8th among strikers with 9 goals. Cap’n Jack will be thrown into starting duty this week following Diego Chara’s red card. The Old Salty Dog knows these games well and tends to do his best work in Cascadia matches. While it hurts to lose Chara, Jack is a confident but steady pro with a penchant for big goals. This may be the final time the Club Captain graces the faded Seahawks logo at CenturyLink, so look for him to get stuck in and have a big game.